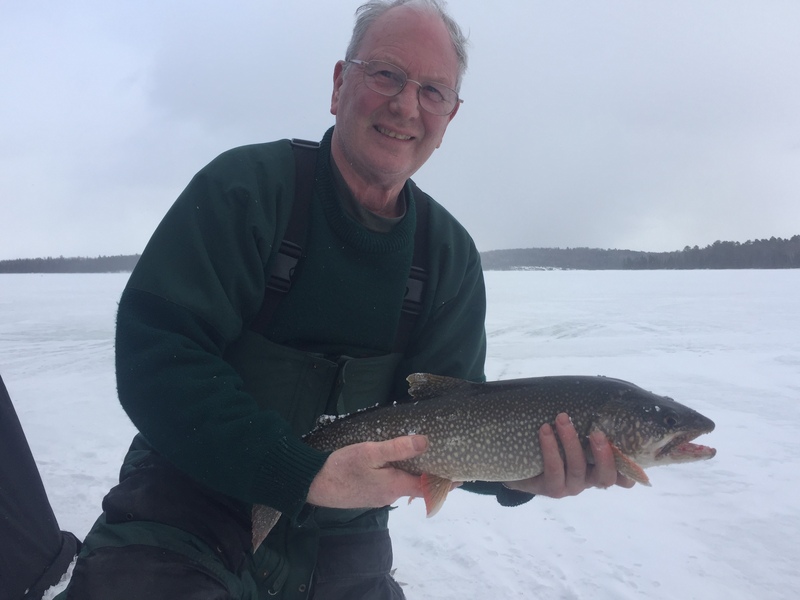 Saturday March 16, 2019 | Hyatt's Manion Lake Camp Ltd.
John had a good day fishing trout yesterday in the wind and snow. We are trying our luck again today. -13C this morning, warming up throughout the day to -1. Light winds. We will be wearing sunscreen.